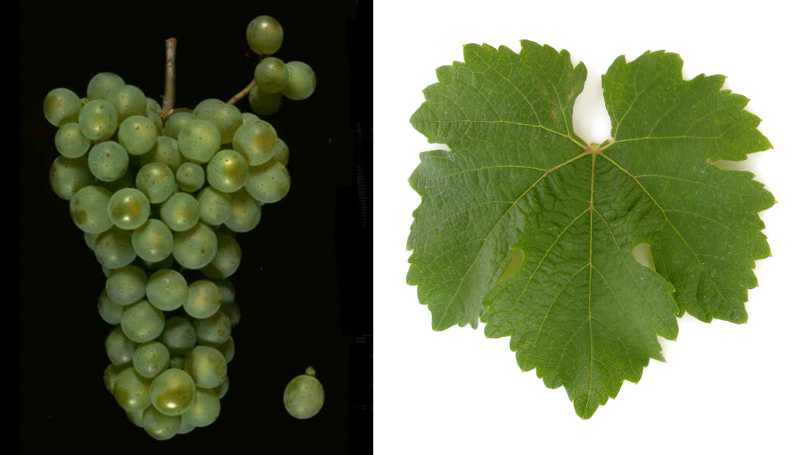 The white grape (also Geisenheim 9-93) is a new breed between Riesling x Knipperlé according to published in Jahree 2012 DNA analysis, The paternity of Grüner indicated in the breeding list Sylvaner it turned out to be wrong. The name derives from the ruin Ehrenfels near Rüdesheim. The crossing took place in 1929 in Geisenheim by Dr. med. Heinrich Birk (1898-1973). The variety protection was granted in 1969. The variety was crossbred partner of the new breeds Ehrenbreitsteiner and principal, She is resistant to frost and moderate against the real and the false mildew, The vine yields greenish yellow white wines with the Riesling-like aromas of apple, peach and apricot. In Germany occupies 85 hectares with a strong falling tendency. Other stocks are also available in Canada (29 ha), as well AustraliaEngland and in some US states like California and new York, In 2010, a total of 114 hectares of vineyards were reported. This page was last modified at 30 March 2019 at 14:41.